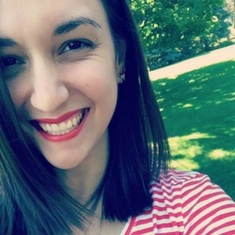 Hey everyone!!! 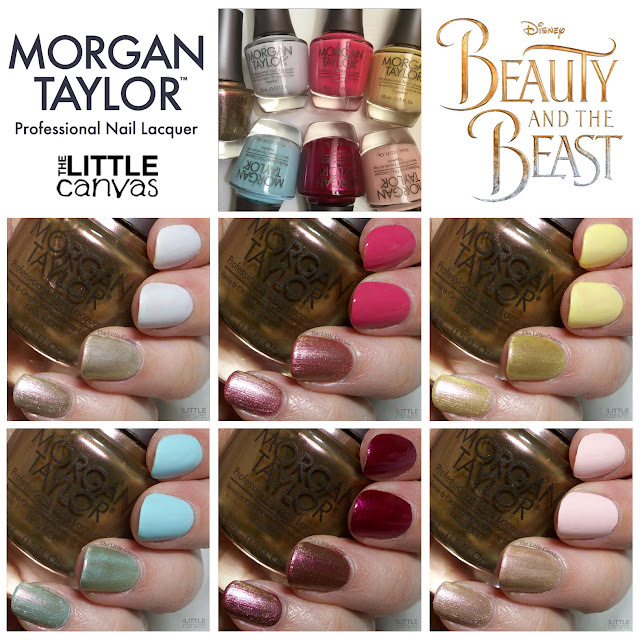 Are you ready for Part Two of my Swatch and Review of the Morgan Taylor Beauty and the Beast collection?? The more I thought about this, the more I think I should have broken the posts up different than swatches then top coat. Oh well. Lesson learned for next time. Anyways, one polish that I did not review yesterday was Enchanted Patina. 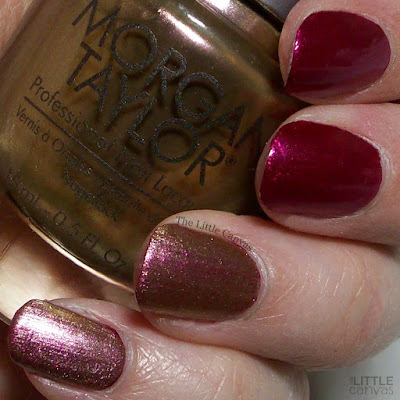 This polish can be worn alone or added on top of the polishes to create a bronzed antique look. Now, guys I apologize in advance, I didn't do a plain swatch of the polish, I just did it on top of the swatches from yesterday. Head on into the post to see the swatches! One coat of Enchanted Patina over Potts of Tea. One coat of Enchanted Patina over Be Our Guest. 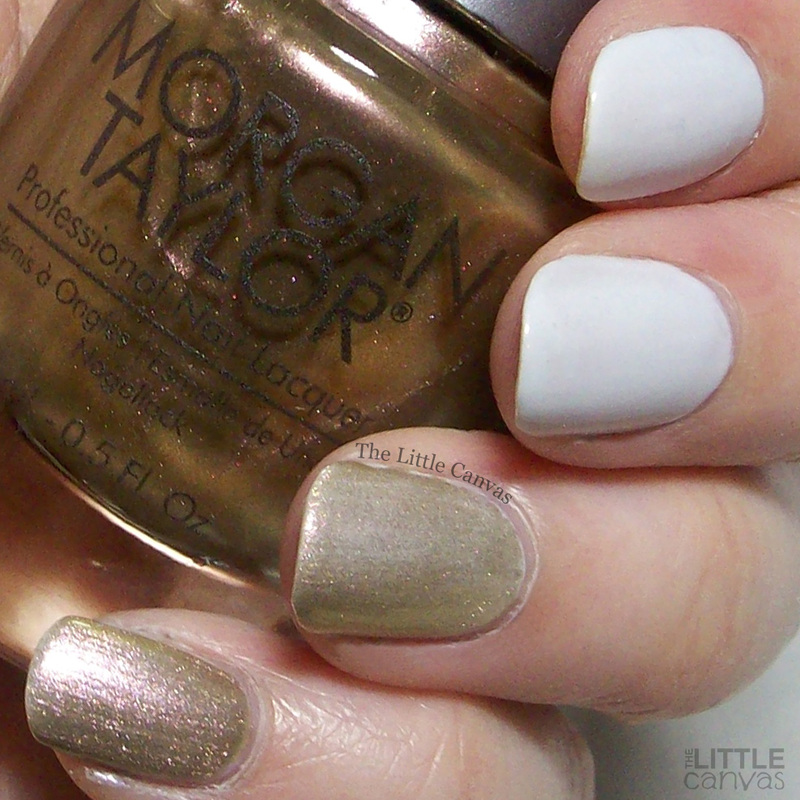 One coat of Enchanted Patina over Days in the Sun. One coat of Enchanted Patina over Gaston and On and On. One coat of Enchanted Patina over The Last Petal. One coat of Enchanted Patina over Plumette With Excitement. What do you think? Like this top coat? At first I didn't think that it was going to make the polishes look all that different, but it really does. It truly does give each of them a unique antique look. I like it and the idea of it, but I don't know if it's something I would really use myself again. I can see myself using it a lot for nail art though. Maybe some polka dots??? Time to do some nail art! #TheNailArtSquad does St. Patrick's Day!